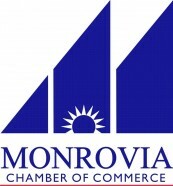 "Monrovia Shell is a family owned business serving the Monrovia Community since 2005. In 2007, Monrovia Shell re-opened for business after being re-built from the ground up with a Coffee Bean and Tea Leaf. We provide a one-stop shop Gas Station for our customers with a fully stocked Food Mart and a drive-thru Car Wash. Our goal is to provide the highest quality of service for our customers."